Sweet, frothy and refreshing – there’s nothing quite like a frosty mug of root beer. It’s the grandaddy of all carbonated beverages and its sassafras flavor is uniquely American. The first guy to market root beer to the masses almost called it “root tea” instead. Thankfully, Charles Hires realized that his potential customers – Pennsylvania coal miners – would probably be more interested in beer than tea. Root beer skyrocketed in popularity during the Prohibition era, and today different versions are made all over the United States. For more than a century, Baumeister Old Fashioned Soda has been making some of the most popular root beer in Northeast Wisconsin. Baumeister will always hold a special place in my heart and will forever be my favorite. It was the soda that my Grandma always had around (and still does). Once I even broke into her house with some of my friends when she was gone – just to get a taste. As the story goes, founder Heine Baumeister tapped into an artesian well in Kewaunee back in 1907. He used it to create his locally legendary sodas. The tradition continues today through Lakeshore Bottling Company in Green Bay. Baumeister also makes an orange soda, which was once called Kewaunee Orange Crush. More recently, Lakeshore Bottling added a Baumeister Cream Soda and Door County Cherry Soda to its offerings as well. You can get this root beer at most area grocery stores and it’s also served in many local bars and restaurants. Bonus Fact – Baumeister Root Beer is re-bottled and sold as Torpedo Juice at the Wisconsin Maritime Museum in Manitowoc. It ranked #3 on the so-called Great American Root Beer Showdown. Titletown’s Sno-Cap root beer has a great story that includes a Green Bay family tradition. Back in the ’60s there was a place on Velp Avenue called the Sno-Cap Drive In. It was run by the grandparents of the people who founded Titletown Brewing Company. Grandma Gladys, as they call her, perfected her own recipe. She sold root beer by the glass for as little as a nickel and 75-cents for a gallon jug. They still follow her recipe – including some special secret ingredients. Sno-Cap definitely gets the award for the most fun-filled logo. Clyde the Penguin is named after Gladys’ husband – Grandpa Clyde. You can get a half-gallon growler, four pack of bottles or a case of Sno-Cap Root Beer when you stop in at Titletown. It’s also the perfect drink for the designated driver when everyone else is having micro-brews. Plus, you might find it at various restaurants throughout Wisconsin. I recently discovered the deliciousness of the homemade, all-natural root beer at Stone Cellar in Appleton. Two things make Stone Cellar’s root beer unique. The first thing you’ll notice is the color. It’s much lighter, like a blonde root beer. That’s because they don’t use any artificial coloring. So this is probably closer to the root beer that Charles Hires made back in the late 1800s. This soda is also made with pure cane sugar – not high-fructose corn syrup. Some people say that makes Stone Arch Root Beer extra sweet. Stone Cellar bottles seven other homemade sodas, which you can buy in six packs at the brewpub. Availability varies, but they always make the root beer. From my personal experience, Sprecher Brewing Company’s root beer could be the most delicious root beer I’ve ever tasted. The New York Times agrees with me. In 2008, four judges ranked it the best root beer in the United States. Glendale, Wisconsin-based Sprecher also makes a variety of other sodas and straight-up beer. But it brews more root beer than anything else. Berghoff is sort of like the Danica Patrick of root beers. Danica Patrick was born in Beloit, Wisconsin – but she was raised in Chicago and she’s a Bears fan. 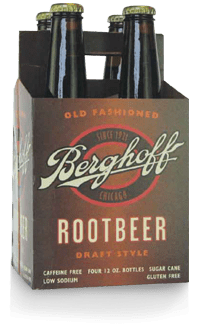 Berghoff Root Beer is made in Monroe, Wisconsin but it’s known as a Chicago root beer. It gets its name from the historic Berghoff Restaurant in the Windy City’s downtown where it was first brewed and sold. The Berghoff started serving root beer as a temperance drink during the Prohibition. But for decades, the soft drink has been brewed and bottled in Monroe at what was first the Blumer Brewery, then the Joseph Huber Brewing Company, and is now known as Minhas Craft Brewery. It’s the second oldest operating brewery in the country. Despite any negative feelings you may have toward the Chicago connection – you have to appreciate the history here. You may also find this same soda bottled as Blumer’s Root Beer. Stevens Point Brewery comes in at number five on the list of oldest privately owned breweries in the U.S. It even provided beer to Union soldiers during the Civil War. And they make a pretty good root beer too. Root beer reviewers/bloggers (yes they exist) like RootBeerBrothers.com – give it a top rating, calling it creamy with a good head. The Point Brewery website suggests this is the perfect choice for making a root beer float. It has also won plenty of awards – including a Bronze Medal at the 2012 U.S. Open Beer Championship, and a Gold Medal in 2003 from the Beverage Tasting Institute. What’s your Favorite Root Beer? Is it on the list? Do you know of other Wisconsin-made root beers that we missed? Tell us about them! Leave a comment below. And don’t forget to Like WhooNEW on Facebook for more Wisconsin fun! I’d love to say Baumeister Rootbeer, but because I am diabetic, I’ll have to say I do enjoy A&W’s Diet, even tho’ it is not a true homemade Wisconsin rootbeer. Loved your article. Thanks! Nothing wrong with A&W. 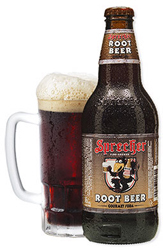 Point does make a diet root beer, and Sprecher makes a lo-cal root beer with less honey and artificial sweetener. I love getting root beer here! Good call, Ardy & Ed’s is an iconic local business. Awesome place to stop if you’re in Oshkosh! Never heard of Dang! Root Beer. Sounds awesome. It’s made by Imperial Flavors – http://www.imperialflavors.com/. Unfortunately – their site is all built in Flash so I can’t send folks directly to the root beer page. Thanks for the tip SconnieGirl10! John’s Root Beer Sand in Waukesha!! Hey Kasey! You’ve inspired me to go on a quest to collect all 6 root beers and try them out, but I cannot find where they sell Berghoff…any ideas? Yeah that might be tough. I would try Woodman’s although I don’t know for sure. I swear I’ve seen their beers around, so maybe a bigger liquor store would have it? That’s the only one on the list I’ve never had myself. I’m betting it’s easier to find in SE Wisconsin, and definitely in Chicago. I read an article talking about how it was all over the O’Hare airport. So maybe you’ll run into it the next time you fly the friendly skies. You can also order it online – although it is pretty pricey ($12 for a 6 pack). Thanks Joe! Godspeed on your Root Beer journey. Oddly enough, we’ve got Berghoff root beer at the National ACE Hardware, down on 13th St and Burnham Ave, little over a buck a bottle for a 1 liter bottle. In the early eighties, my family visited New Glarus Wisconsin. When we were there we went to a Swiss Deli for lunch and found a most unique bottled beverage — one I have never seen since. It was made from carbonated water, honey, yogurt and herbs and was the most amazing beverages I’ve ever tasted – mildly sweet, aromatic and fresh-tasting and certainly healthful. It was clearly a type of root beer developed in Switzerland. Wonder if anyone knows its name and whether it is currently available in Wisconsin or online. That sounds amazing. Hopefully someone out there has the answer. Huber also bottles Blumer’s Root Beer (and other flavors) in Monroe, WI. And there is Gray’s Root Beer (and other flavors) from Gray’s Brewery in Janesville, WI. I don’t know if it was a WI root beer or not, but when I was growing up, Grandpa Grafs was my favorite. Potosi Brewery makes Princess Potosa Root Beer. It is top quality. I would put it up there with Sprecher’s and Point. Unfortunately you can only get it on tap in their restaurant in Potosi, Wisconsin and nowhere else. Apparently they have no interest in bottling it …yet. Those hard to get root beers are always the best! Thanks for sharing, Jack. Silver Creek Brewery in Cedarburg has fabulous root beer! I am right now in the development stage for a YouTube deduction game show and, as I really enjoy rootbeer, I like the idea of having a rootbeer maker be its sponsor. They’d get a plug before the mid-roll 15-second commercial break, such as “[name of game show] is sponsored by [name of rootbeer]. [name of rootbeer] is the official rootbeer of [name of game show].” They’d also get a plug on the back of each tie-in t-shirt sold. Part of the idea is to also sell monthly rootbeer subscriptions to the fans of the show (12-pack with special tie-in label on its bottles) and get a commission off of those subscriptions. In addition to the rootbeer, subscribers get to see game show episodes a day earlier than the public on YouTube and because the show would travel the world, can be part of the studio audience when a taping of it is within what the subscriber considers to be reasonable driving distance. Given all that…. Which Wisconsin rootbeer makers would people here think would be good ones to approach about such a sponsorship? Currently, I’m thinking Sprecher’s, Point, and Minhas (which makes Blumer’s). Any others? I want to say Dorothy’s Rootbeer, but that may actually be from Minnesota or the UP. I first had it at Girl Scout Camp on the Menonimee River (Chalk Hills Camp, no longer in existence), so that may be why I associate it with WI. You should try it anyway, even if it’s from a foreign land. In any case, I’ll be conducting a little root beer taste test next time I’m home. Looks like Dorothy Molter (The Rootbeer Lady) was from MN. She was one of the last people to live up by the boundary waters. Still a very cool story even if it’s not a Wisconsin story. Thanks for bringing it up, Lynne. For all you Princess Potosa- Root Beer lovers in Wisconsin, I spoke to a Potosi Beer Distributer at the Beer and Spirits Festaval in Lake Geneva, Wi last weekend. The Brewery is beginning to gather a plan for possibly bottling their root beer for delivery to major stores throughout Wisconsin. Sweet……. The Potosi Facebook page show a picture of them now bottling the root beer. This just a couple of weeks ago. I haven’t seen it for sale anywhere yet. 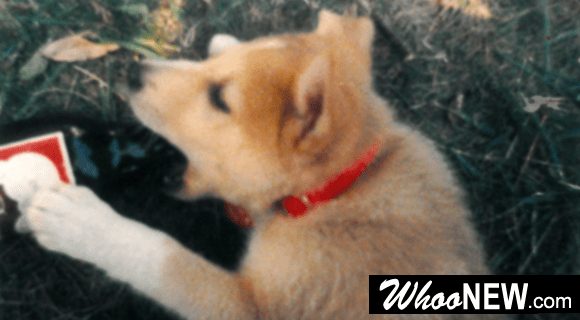 There is also 1919 Root Beer that comes only as a draft…and what about Dog ‘n Suds ? The Original Baumeister Orange soda was as close to the original Orange Crush as you could get…it was whitish in color with orange specks in it. Unfortunately it now tastes just like everyone else’s orange soda. 1919 is made in MN. And Dogs n Suds started in Illinois. Definitely Midwestern root beer – but we were focusing on Wisconsin only here. Interesting factoid on Baumeister Orange – maybe they’ll do a retro version someday if enough people ask for it. Thanks for stopping by and commenting, Jim. No idea what brand of root beer went into the root beer floats I enjoyed during my childhood days in eastern Wisconsin, but I enjoyed your article on the history of root beer along with the recipes. Will be adding this link to a short post I’m doing about “Root Beer Floats and Sundaes” for April 21, 2016.